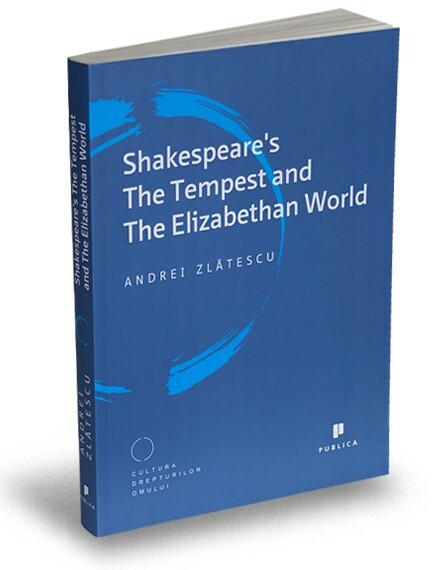 A dramatic riddle vacillating between older and newer symbols of Elizabethan and Jacobean Court cultures, Shakespeare's The Tempest opens original epistemic parallels between assertive politics and its subsequent nihilism, for its essence is in the very representation of ritual origins. Prospero’s provisional tyranny disposes the absolute answers of representative knowledge, his enlightening work of wizardry reduces knowledge itself to an act of efficient representation, nonetheless an empty epiphany. Thus, Shakespeare’s last major folio is both ritual and play, an unprecedented work of “magic theatre” that institutes new stage conventions- in which both the meaningful “fabulation” of the sacred drama and its prescriptive performance in history are shown: a dramatic structure that can produce events in history within its narrative agency, truth that find its new measure in representation. Andrei Zlatescu presently is the Director of European Inter-University Centre for Human Rights and Democratisation – European Master’s of Human Rights and Democratisation Programme for Romania. He presently teaches Commmunity Theory and Human Rights for The Faculty of Political Science with The University of Bucharest. He has previously served as an Assistant Professor in Global Studies with The Faculty of Information and Media Studies at Western University, in London, Ontario and as a Professor of Communication with Fanshawe College in London, Ontario. Between 2003 and 2010, he taught the core-courses in General Studies / Culture and Values for The Faculty of Communication and Culture at University of Calgary. In 2010, he held a field-course in Applied Community Studies and Human Rights (Cultural Ecologies) in Ecuador’s Coastal, Andean and Upper Amazon regions. He holds a PhD in Comparative Literature from the University of Alberta, Office of Interdisciplinary Studies. The present study is a short version of his doctoral dissertation, “The Tempest as a Pretext. Shakespeare’s Last Major Play and The New Allegories of Order,” defended in 2008. He also holds a M.A. in Comparative Literature from The University of Western Ontario. He has researched, taught and published in the fields of Cultural Anthropology, History of Ideas, Community Studies, and Minorities’ Rights.